�This year, due to the economic recession and the price consciousness of the consumer, clients are looking for the personalised aspects in their spa visit, in additional absolute attention to detail, impeccable spa standards and faultless service excellence, ensuring each spa experience was beyond the clients expectations. � described Dr Nadine de Freitas, Managing Editor, Les Nouvelles Esthetiques, South Africa. 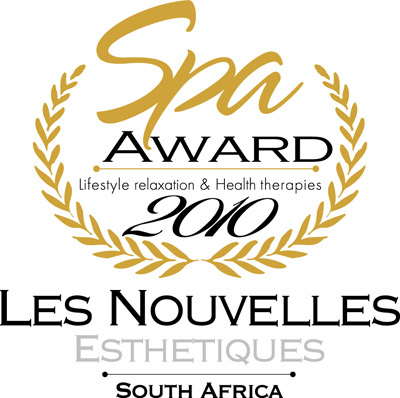 The Les Nouvelles Esthetiques Spa Awards Day Spa Category Finalists were The Classique Spa, situated in Norwood, Johannesburg, offering a private Victorian spa setting. The Classique Spa has created a sense of elegant timelessness and an unsurpassed quality of service, combined with SA�s only true Dead Sea salt floatation pool. Danika Spa located in the heart of Klerksdorp, where the focus is on privacy and the total spa experience, as all guests are treated as royalty. Indulge in the unique reflexology Bean Walk, as you walk in heavy Bali pots while your toes curl amongst the seeds. Camelot Spa at Polokwane, a spa steeped in contemporary sensory wellness and beauty, with elegant clean lines, glass, mahogany and stone, reflecting minimalism. Located in the eco-conscious Natural Living Euphorium, a compelling new destination in Polokwane. The winner of the Day Spa Category was Spa de la Veille, Centurion, Pretoria. Capturing the essence of France, Spa de la Veille boosts tasteful finishes and pure indulgences. The nine treatment rooms have all been decorated with furnishings carefully chosen, with a great sense of detail and comfort in mind, in addition to the manicure / pedicure lounge and hydrotherapy areas. Boasting the unique Signature Treatment: Le Voyage de Vie � a one of a kind hydrotherapy area. The voyage involves a visit to a number of hyrdotherapy stations, allowing the benefits of heat and cool to invigorate and rejuvenate, as Spa de la Veille strives to ensure clients live a longer and healthier life. Jiva Grande Spa at The TAJ, Cape Town where guests are invited to experience a spectrum of traditional Ayverdic wellness treatments in a tranquil ambience was announced as the winner of the Unique Spa Concept Category. The philosophy of Jiva or �Innerforce� is inherently rooted in India�s ancient approach to wellness. Inspired by ancient Indian healing wisdom, Jiva believes that a spa unfolds a holistic path of life that opens out channels to nurture ones� life force. Jiva Spas embrace a deep understanding of mind, body and spirit. The Jiva Grande spa offers various signature treatments, holistic therapies, body scrubs and wraps. The 6 organically designed treatment rooms with contemporary finishes provide the perfect ambience to unwind and discover a sense of tranquillity. Each year the judging of the Unique Spa Concept Category is always extremely difficult, as all spas in this category are very different from one another, but we are proud to announce the finalists in this category: Thai Sabai Day Spa, in the heart of Somerset West, Cape Town. An invitation to experience a therapeutic journey of relaxation through original Thai massage and Professional Beauty Spa Treatments, as one embarks on peace and tranquility to relax and restore body and mind. A homely ambiance offering sincerity and Thai smiles. Ingaadi Spa and Event Venue, located East of Pretoria, Ingaadi is a place of many moods. Well-being, luxury, festivity, celebration, business, learning or just relaxation, whatever your expectation of Ingaadi is, their ultimate intent is to make your experience memorable. The elegant simplicity is a symbiosis of elements of international sophistication, seasoned with a touch of essence of Africa. And The Soul Khaya, a sanctuary of bliss and tranquillity, located in Lanseria, just outside of Johannesburg. The Soul Khaya endeavours to help guests to �take the journey home�, to restore their soul. The rituals are unique, comprehensive and decadently indulgent, and are performed with sheer commitment and intention. The finalists for the Les Nouvelles Esthetiques Spa Awards Boutique Hotel Category are Ginkgo Spa at Steenberg Hotel, located on one of the Cape's oldest wine estate and set in the beautiful Constantia Valley originally known as "the feeding place of swans". The serene setting and gentle, yet powerful energy radiating from the Steenberg Mountains re-inforces the philosophy behind the Ginkgo Spa emblem consisting of three ginkgo leaves forming a circle, representing the three important areas of balance, mind, body, and soul - all within the concept of holism. Fordoun Spa, previous Les Nouvelles Esthetiques Spa Awards winner, Fordoun Spa in the Natal Midlands boasts an oasis of relaxation and sensory bliss. At Fordoun we believe that health begins with the mind and spirit and guests should leave feeling positive, de-stressed and energized. Unique to Fordoun - Dr Elliot Ndlovu - herbalist, ethno-botanist and the country's leading expert on Zulu traditional healing and indigenous plants - takes Tours from Fordoun to the Kamberg where guests will enjoy a genuine African healing experience. 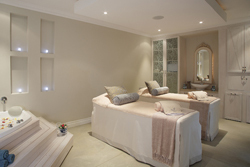 And Isiphiwo Guest House & Spa, a luxury spa which offers first class treatments by highly trained therapists. The spa is set on a hillside in the Africa bush, only 10 minutes away from Pretoria. The exquisite surroundings and elegantly decorated interior creates the feeling of ultimate calmness and relaxation, as the enthusiastic spa team take guests on an unforgettable journey. In the Safari Spa Category, our international flagship category as it represents the essence of Africa, through the combination of safari and spas, the winner was Amani African Spa at Shepherd�s Tree Game Lodge. Located in the heart of an extinct volcano lies the " Pilanesberg Game Reserve, characterised by undulating hills carved with riverine valleys, forming secluded amphitheatres. Within one of these naturally spectacular landscapes, standing above an open savannah commanding impressive vistas of the pristine wilderness lays the new exclusive Shepherd�s Tree Game Lodge & its Amani African Spa. With its beautiful luxury accommodation and gourmet cuisine, its spectacular views, rim-flow swimming pool, sweeping patios and sundecks adjoining the generous guest entertainment areas, relax in the lap of luxury and enjoy this exquisite new Amani African Spa, offering three spacious private treatment rooms and a couples retreat, with a luxury hydrotherapy bath. Shepherd�s Tree Game Lodge and Amani Spa promises a memorable 5* African Safari Spa journey. �The Resort/Hotel Spa Category was the most closely contested category, as the countries finest hotels and spas entered the spa awards 2010, making the judges decision extremely difficult as results were separated by only a few points.� says Dr Nadine de Freitas, Managing Editor, Les Nouvelles Esthetiques South Africa. A Special Mention Award in the Resorts / Hotel Spa Category was presented to The Hydro at Stellenbosch. South Africa�s first true Health Hydro, which has not only carved its place in history, but renewed itself, as much as the many clients that have walked through the door. �Les Nouvelles Esthetiques thought these ground breaking steps should be acknowledged as they have in essence paved the way for the entire spa industry as we know it today.� explained Dr Nadine de Freitas. Nestling in the tranquility of the Idas Valley near Stellenbosch, the magical woodlands and crisp air blend to make this one of the most beautiful havens on earth. The Hydro at Stellenbosch, also known as the High Rustenberg Health Hydro, was founded in 1972. The original Building comprised fourteen rooms and a staff of 25. Since its formation in 1972, The Hydro has become a world leader in the holistic approach to balance a clear mind, healthy body and positive mental attitude. The finalists in the Resort/Hotel Spa Category were the magnificent Mount Grace Country House & Spa. Tucked away in the ruggedly Magaliesburg Mountains, just an hour from Johannesburg, Mount Grace Country House & Spa, offers the ideal environment to unwind. Mount Grace Spa features 18 pristine, spacious treatments rooms, an ultra deluxe pedicure lounge, elegant furnishings and soothing neutral colours which adorn the main spa building. Enjoy the legendary Hydrotherapy Spa Garden with hot and cold pools surrounded by exquisite tranquil gardens. Waterfalls add to the therapeutic healing effect of the sound of water together with an outdoor Jacuzzi and a state-of-the-art liquid sound flotation pool. Walk barefoot on the cobblestoned reflexology path to stimulate the pressure points and embrace the meditation points in the garden to help you re-engage with your inner self. Camelot Spa at the Radisson Blu Hotel, Port Elizabeth , set over-looking the azure Indian Ocean, the very first Camelot Spa in the Eastern Cape brings a sense of tranquillity to the area. The Spa takes its cue from modern minimalism with a cocooning sense of warmth provided by textured wall-papers in oyster pearl and mirrored, grey-grain mosaic, as well as ocean canvasses. The unique facilities include a Floatation Room and Rasul Chamber, which present both visitors and city dwellers with a wealth of wellness, while the Hydrotherapy Room reflects a sense of stillness and the Relax Room over-looks the sea, providing the perfect place to relax after one of Camelot's memorable signature treatments. One & Only Spa, at the heart of the One&Only Cape Town, the Spa is situated on a private island in the centre of the resort's waterway. A serene haven amidst the bustling city of Cape Town, the spacious 1,200-square-metre One&Only Spa�s philosophy is focused around three different pillars which are: Unwind, Balance and Uplift. The winner of the Resort/Hotel Spa Category was The Oyster Box Hotel and Spa, Umhlanga, Kwa-Zulu Natal. From the moment The Oyster Box opened its doors in 1947 the hotel rapidly became one of Africa's most distinguished hotels. The combination of colonial charm, impeccable service, lush tropical gardens and breathtaking seaside setting swiftly gained it a legendary reputation woldwide. This iconic landmark has been lovingly refurbished to offer guests a vibrantly contemporary experience, whilst still evoking feelings, memories, and the warm nostalgia of days gone by. The addition of the Oyster Box Spa tucked away amongst the lush indigenous gardens, completes the guest offering. The spa facilities include an extensive range of carefully crafted treatments, 6 treatment rooms, four sensational showers and two offer hydrotherapy baths, one specially designed to assist the physically challenged, along with a well equipped private fitness club, two swimming pools, exquisite spa dining and ample space to stretch out on the terraces and within the gardens for simply being still. The Oyster Box Spa defines personal care, with each guest experiences being personally designed. Uniquely, the Oyster Box Spa introduces South Africa's only Hammam - a sensual bathing retreat which evolved over thousands of years from Roman times. Guests are invited to indulge in traditional Middle Eastern treatments, while their imagination takes them on a mystical journey into the past. �We focus a large amount on the actual spas, however there are a number of individuals, as seen by the impressive list of nominees, who go above the call of duty and through their work the entire industry benefits�, said Dr Nadine de Freitas. These Spa Recognition Awards include three categories, The Spa Ambassador Award, The Humanitarian Award and The Spa Visionary Award. The Spa Ambassador Award, symbolises a person who represents the industry, in a thankless capacity. The award goes to a person who has made the industry proud and whose presence in the industry is noted internationally. The Spa Ambassador Award 2010 was awarded to Ronleigh Gordon, from Amani African Spas for her role in constantly introducing new spa concepts, such as Salt Therapy, mobile spas on the Premiere trains, Safari Spas, etc. 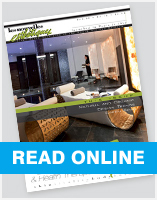 Amani African Spas is the second largest spa operator in SA, with 14 spas and over 60 therapists employed nationally. The Spa Humanitarian Award is awarded to a person who by definition is actively concerned in promoting human welfare. The 2010 award was awarded to Lientjies van der Vyver, from Camelot Spas. In August 2009 Lientjies started FEET (ForeverEncourageEquipTogether ) charity. FEET's vision is to set-up Houses of Hope for disadvantaged children under 18 years. Its first project is in Lotus River, Western Cape. The vision is to offer: 'Yes'-pre-school for 3-6 year old children; Teen-age life skills lessons; food 5 days a week, Word4Word reading programme in afternoons, etc. Lientjies believes "One can make a difference & everyone should try.� The Spa Visionary Award is awarded to a pioneer within the Spa Industry. A industry leader who has made truly outstanding contributions to the development of the Spa Industry over the past year and whose ideas have lead to a change or noted improvement in the spa industry. The Spa Visionary Award for 2010 was awarded to Charne le Roux, the pioneer of the Green Initiatives in the Spa Industry. Charne opened the first award winning organic Spa in 2008, Vygenhoek Organic Spa and consequently has been invited to speak on the subject of green spas at major local spa conferences. Recently, been invited to Congress of the Green Spa Network in the USA. Charne is accredited by the Green Building Council of South Africa and a member of the Slow Food Movement. Charne is the author of the first comprehensive guide to spas and wellness retreats dealing with issues concerning sustainability, green building, fair trade, organic cosmetics and slow food principles, titled the Green Spa Guide.